FOR A LIMITED TIME – EXCLUSIVE SIGNED COPIES Available Here! Now you can enjoy your own GUSTO POWER™ tools of personal and professional development at home or on the go. SPECIAL pricing – all 3 books for $49 (reg. $60) plus shipping outside of U.S.
Purchase the 3-book deal and receive FREE shipping in the continental U.S.! Give the gift of growth and passion! If you have many passions, then you likely have the natural curiosity, energy and drive to explore them. Now it becomes a matter of staying on track. But how? 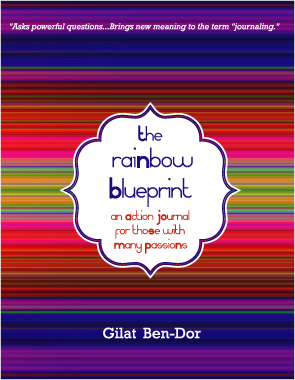 With the help of The Rainbow Blueprint: An Action Journal for Those With Many Passions by Gilat Ben-Dor. With provocative questions and accountability check points along the way, you are guided to plan, execute, and reflect on the way that you live, surrounded by multiple passions. More than a pretty “blank book,” this guided journey will make you look back and see just how far you’ve come on your path. Having a natural curiosity for many things, and the talent to fulfill each idea, is truly a gift: to yourself, your organization, and your community. 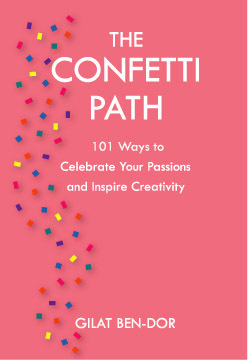 The trick is knowing how to navigate productively between your diverse set of passions. 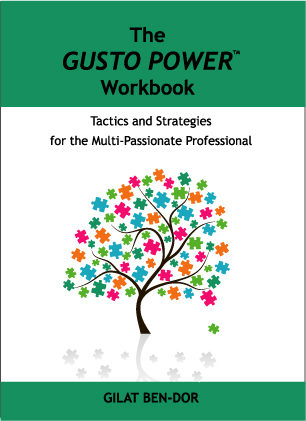 The GUSTO POWER™ Workbook is an extension of the GUSTO POWER® leadership development and coaching program created by Gilat Ben-Dor, specifically for multi-talented, multi-passionate professionals who seek clarity without sacrificing their sphere of passions. The exercises in this workbook work well with individuals as well as group and work team situations. If you enjoy efficiency and education, why not make the most of your commute? 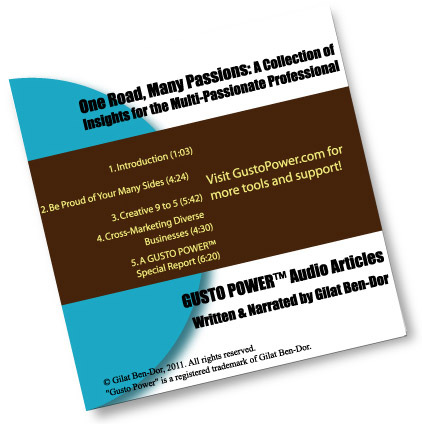 In this CD, you will find three audio articles narrated by Gilat Ben-Dor herself (founder of GUSTO POWER™), plus a BONUS audio Special Report — all addressing important elements of success as a Multi-Passionate Professional. What exactly is a “Multi-Passionate Professional?” Are you one of them? And what does that mean for your personal and professional life, your productivity, your time, energy, and creative output? 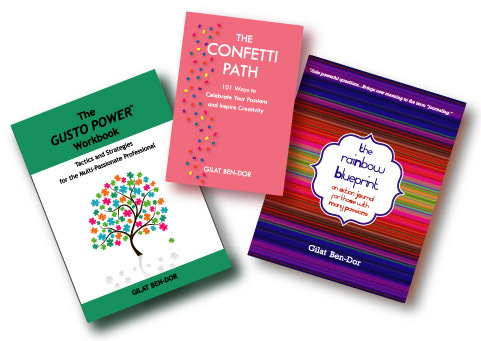 The GUSTO POWER™ development and coaching program, created by Gilat Ben-Dor, was designed especially to help multi-passionate professionals regain peace of mind, productivity, and the sense of heading in the right direction, on the path towards fulfilling one’s full potential. 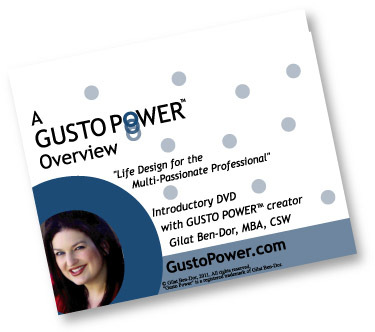 This DVD provides an overview of the GUSTO POWER™ program and the tools available on the GustoPower.com website.